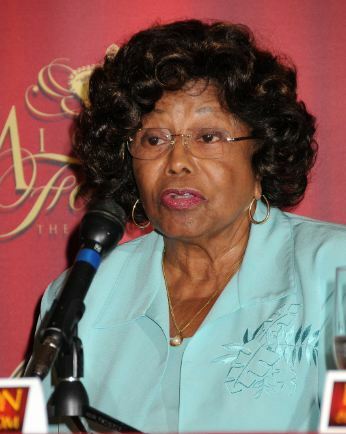 Katherine Jackson, Michael Jackson’s mother, was reported missing late Saturday night after her grandchildren have been unable to contact her for a week, according to reports. Katherine Jackson’s nephew, Trent Jackson, filed the missing persons report for the 82-year-old with the Los Angeles County Sheriff’s office, according to police. The Los Angeles County Sheriff’s Department says Katherine Jackson may be with family members but have reached out to her to contact them. Michael Jackson’s three children have lived with their grandmother since their father died in 2009. She has not spoken to them for a week which is unheard of, according to Katherine Jackson’s lawyer, Sandra Ribera. The Jackson matriarch has gone missing in the middle of a family dispute between several Michael Jackson’s children and the executors of the megastar’s estate. The siblings claim Michael Jackson’s will, which stated that his assets be placed in a family trust and that Katherine Jackson was guardian of her grandchildren, was forged and have demanded that the executors of his estate are fired. A letter to executors, made public on Wednesday, from two of Katherine Jackson’s daughters, Rebbie and Janet, and three sons, Jermaine, Randy and Tito, also states that their mother had a “mini-stroke”, reported CNN. However, Paris Jackson, Michael’s 14-year-old daughter, initially disputed the claims about the stroke and tweeted that “nothing had happened to her”. The tweet was later deleted. According to Sandra Ribera, on July 15 Katherine Jackson left her Calabasas, California, home with her daughter Rebbie to attend a Jackson brothers concert in Albuquerque, New Mexico a few days later. However, when Paris has called her grandmother she has been told she cannot speak to her, Sandra Ribera said. She also tweeted that anyone who sees her grandmother to call the authorities and gave out a security number to call. Sandra Ribera said that Katherine Jackson “has never gone 24 hours without talking to her kids”, and added that she was concerned the 82-year-old was not safe. The sheriff’s homicide-missing persons unit has been asked to investigate, Sandra Ribera confirmed.